Why is it Important to Clear Your Name? Did you know that more than 80 percent of employers and landlords conduct background checks? Therefore, it is vital that you do everything possible to expunge (clear) your criminal record. Expunging your criminal record may help you find better employment, improved housing, qualify for financial loans or provide you with the ability receive a professional certificate. In most instances, we can get convictions for summary offenses removed from your record. More serious charges, such as DUI charges can be expunged, if you successfully completed ARD (Accelerated Rehabilitative Disposition). A newly enacted law provides certain misdemeanors to be “shielded” from public view. This limited access expungement prevents prospective employers from seeing your criminal record when conducting a background check. In certain instances, even an arrest under the Drug Act can be expunged. People with felony arrests have hope. A felony arrest can be expunged depending upon the disposition of the felony. If we determine that a pardon is your only option, we will work with you to increase your chances of success. We know what the Board of Pardons is looking for, thereby increasing your chance of submitting an application that is approved. An expungement, limited access expungement or a pardon is an investment in YOU. Having a clean criminal record can allow you to apply for jobs with confidence, allow you to seek that professional certificate you have always wanted, or become eligible for student loans and begin to work toward that career you thought was otherwise out of reach. 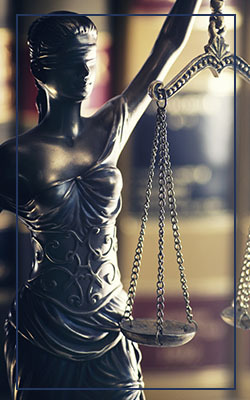 Dutko Law, LLC offers representation for pardons and expungements in Reading, Allentown, and Easton, Pennsylvania. Please reach out to us with any questions you have about record expungement in Kutztown, and we’ll answer them to the best of our ability. Contact Dutko Law for a FREE CONSULTATION and start working toward the clean criminal record and a second chance that you deserve.